It may not look exactly spring like, but when I photographed this view, we were eleven days into the month of May. 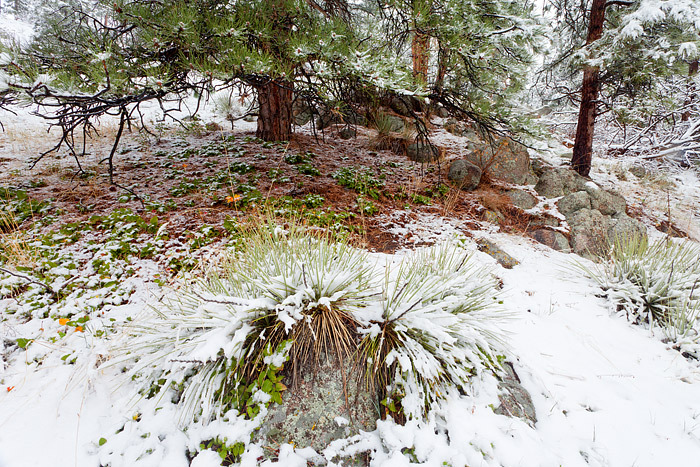 A late spring snowstorm sacked the summit of Flagstaff Mountain in Boulder and coated the Ponderosa's and Yucca's with a heavy wet snow. Look closely enough and you can see all the new spring growth on the forest floor peaking out from under a blanket of white. Photo © copyright by Thomas Mangan.